Capt. Nico Melendrez began his career in the sportfishing industry in 1994. Previously a local artesianal fisherman, he was trained by Tim Choate in a handful of mate schools to launch the sportfishing industry in Guatemala. Nico has been the first mate aboard the Rum Line for close to 10 years. He is one of the original Fins ‘N Feathers gang that is still living the dream! When Nico began in ’94 he never thought to count his billfish releases, it was simply part of his daily duty. From working with experienced Captains who keep daily journal entries we can assess that Nico easily has well over 40,000 billfish releases. Two years ago Marlin Magazine recognized him passing the 30,000 mark, click here to read more. He’s always enjoyed being in the action but is ready to make the leap to the flybridge. Please join us in welcoming Capt. Nico Melendrez to the helm of the Afinity, ’39 Billy Knowles, and congratulate him when you see him this season! Please take a few moments and reminisce about the warm, summer sun, as we share a new adventure from June at Casa Vieja Lodge. In association with Sport Fishing Magazine and Old Town Canoe & Kayaks we gave our best and first shot at the ever popular Kayak fishing from a gorgeous Predator PDL. Of course Captain Chris Sheeder of the Rum Line was up for the challenge of introducing the kayakers to the tremendous fishery. “Kayak-fishing takes the angler off the boat and puts him basically as close as one can get to the fish in his environment, and that’s pretty cool.” said Sheeder. 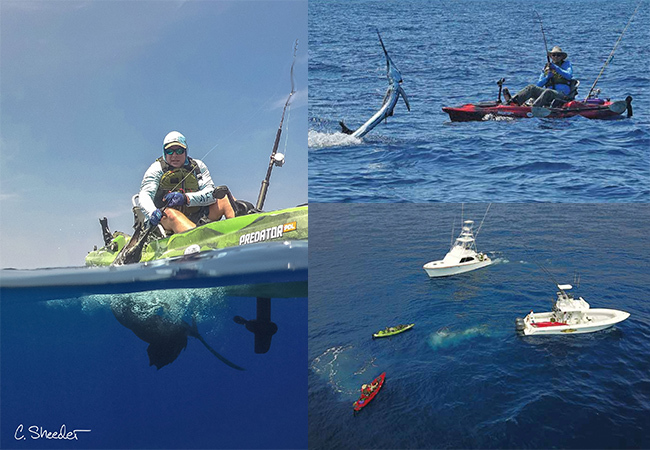 David Hadden of Old Town Kayaks, Doug Olander of Sport Fishing Magazine, and Rob Sherman a true kayaker trolled along at 4 knots in the pedal-powered kayak, and went on wild rides releasing the sailfish. Here is a video from their trip. You can read more about this endeavor in the January Issue of Sport Fishing Magazine. By the way, it’s still warm, and sunny at Casa Vieja Lodge, it’s currently 86 degrees. If you can’t get down to Guatemala on your own enter the Costa Holiday Catch Sweepstakes for a chance to win 1 day of fishing and 1 day of beach cleanup in Guatemala or the Florida Keys. The contest ends at midnight tonight, December 21! Click here to enter and learn more. The snowbirds are on route to Casa Vieja Lodge for some warmth, relaxation, and great fishing! If your current situation finds you in white, cold, fluff, then you may want to reevaluate these last-minute openings we have below. A gift certificate for Christmas (in 4 days!) will be your easy way out, and the best gift possible for that special angler! Contact us and we’ll email you a personalized certificate ASAP! If you are looking for some Spring Training on the fishing rod, then look no further than Casa Vieja Lodge. We’ll get you into angler shape so you won’t miss a fish this tournament season. With an average of 12-15 billfish raises per boat, per day, Casa Vieja is the spot to perfect your catching skills. Get serious about tournament fishing and train with the best. No heavy lifting involved. December is the month of giving, and we’d like to congratulate another couple on their engagement at Casa Vieja Lodge. We are 2/2 in the past 2 months! Let’s keep up the lucky streak in January! On another note, an esteemed client Randy Marion and his compadres have been fishing with CVL for about 10 years. Each year they bring down 60 soccer balls to handout to the local children. Good fortune blessed this fishing trip when Randy finally released his first ever blue marlin! CONGRATS! December 6th-10th, 18th & 19th, the Spindrift (38’ Stolper) with Capt. Nicho Alvarenga, had 68 raises, 46 bites, and 31 sailfish releases. They also had 3 marlin raises, 2 marlin bites, 1 marlin release, and 7 mahi-mahi. December 6th, 7th & 12th, the Intensity (37′ Gamefisherman) with Capt. Mike Sheeder, had 20 raises, 14 bites, and 5 sailfish releases. They also had 1 marlin raise and 3 mahi! December 7th-9th, 19th & 20th, the El Cadejo (35′ Contender) with Capt. Efron Rizzo, had 28 raises, 26 bites, and 18 sailfish releases. They also had 3 marlin raises, 3 marlin bites, 3 marlin releases (1 black marlin), 3 tunas, and 11 mahi-mahi! 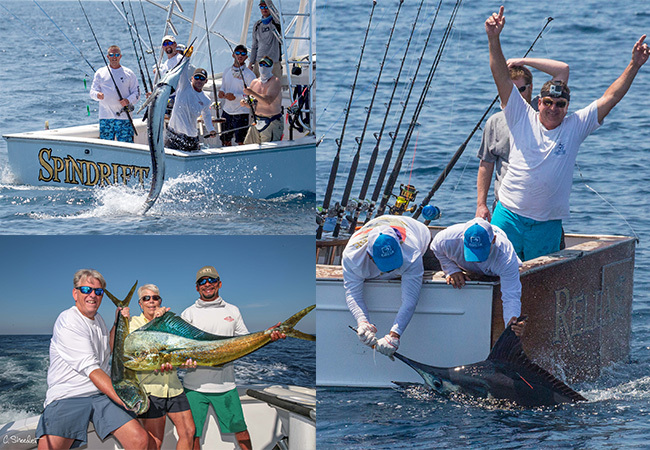 December 8th-12th, 15th & 20th, the Afinity (39’ Billy Knowles) with Capt. Nico Melendrez, had 86 raises, 70 bites, and 36 sailfish releases. They also had 6 marlin raises, 4 marlin bites, 3 marlin releases, 2 tunas, and 10 mahi-mahi! 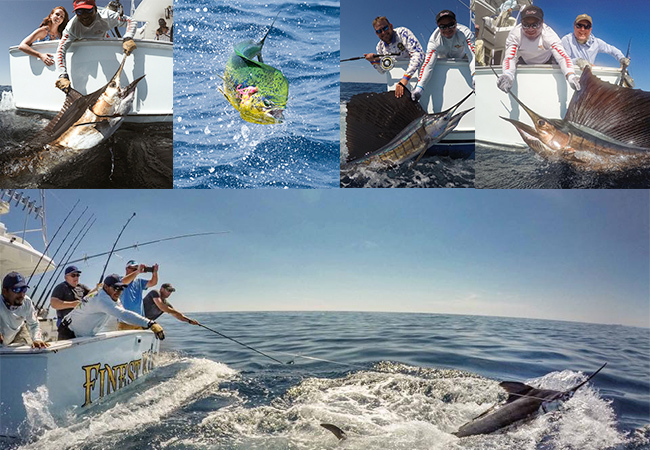 December 10th-20th, the Release (37′ Merritt) with Capt. 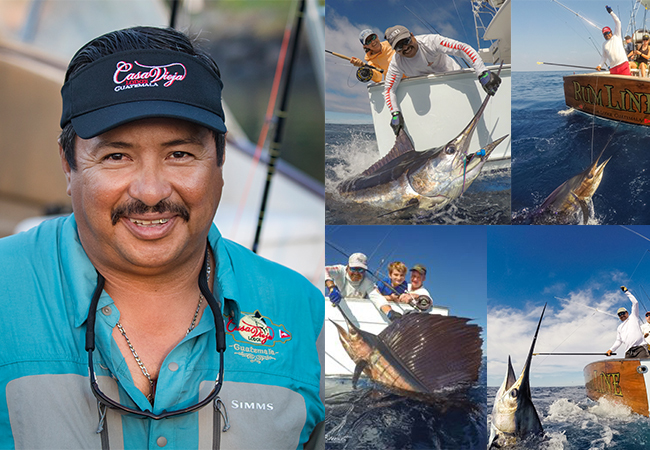 Chico Alvarenga, had 125 raises, 93 bites, and 53 sailfish releases. They also had 11 mahi-mahi, and tuna! December 13th-20th, the Finest Kind (40’ Whiticar) with substitute Capt. 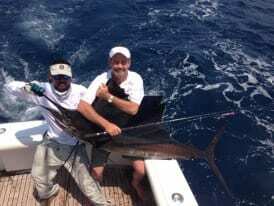 Chris Sheeder, had 133 raises, 89 bites, 61 sailfish releases. They also had 7 marlin raises, 5 marlin bites, 5 marlin releases, AND 5 mahi-mahi. December 14th-16th & 20th, the Makaira (37’ Rybovich) with Capt. Jason Brice, had 75 raises, 63 bites, and 39 sailfish releases. They also had 3 marlin raises, 3 marlin bites, 2 marlin releases, and 10 mahi-mahi.